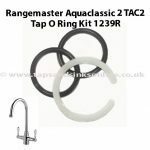 If your Franke Tap leaking at base then you probably need to replace the O Rings. 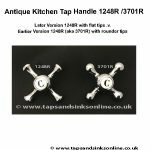 Different Franke Taps take different O Rings. 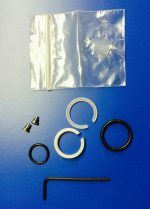 If you go to our Franke Spare Parts Section here and select your Franke Tap (based on the pictures) and click on the link this will bring you to the O Ring Kit that is suitable for your Franke Kitchen Tap. If your Franke Tap is dripping from the spout, then changing the valves should solve this problem. 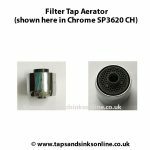 If you go to our Franke Spare Parts Section here and select your Franke Tap (based on the pictures) and click on the link this will bring you to the Valve that is suitable for your Franke Kitchen Tap. My tap is leaking at the cold side lever, not the spout. What do I need to replace and how do I know exactly which Olympus tap it is? Most likely you need to replace the Valve or the Brass Bush or both. How do I know exactly which Olympus Tap it is ? 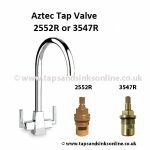 Take a look at this blog here : My Franke Olympus Tap is dripping and this gives the measurements of the Valve for the Olympus Tap that we stock and links then to our Store if you wish to purchase the Valve and Brass Bush (if required). Also this link here to Franke Spare Parts details all the various Olympus Taps that we stock spare parts for as you didnt specify whether you have the Olympus, the Olympus Filterflow, the Olympus Triflow or the Olympus Spring but this link should help you there also. How do I remove a Franke Danube spout? I’ve loosened off the colour and moved it out of the way. The spout pulls up to reveal the o-rings and no more. Can’t see a grub screw and can’t feel a notch, even after a 360 degree rotation. hopefully this Blog Post How to remove a Kitchen Tap Spout will assist you. Hi There I have the mythos tap in kitchen it’s dropping and replace o ring middle but leak looks like it’s coming from hot water side. Problem is when I try to take it of whole brush is turning and now nut is sheared what should I do? Dear Gordy, If I understand you correctly, your tap is dripping from the hot water side ? But I am not sure if this is dripping from the spout (which usually would point to replacing the Hot Mythos Valve) or if dripping where the Spout meets the base, that would indicate replacing the O Ring Kit. Perhaps you haven’t fitted the new O Ring Kit correctly ? ie. 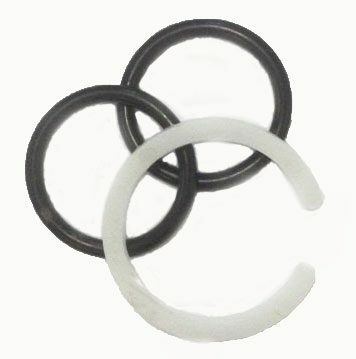 lined up the new O Rings correctly as per the blog? if the grub screw is now sheared then you just need to replace the grub screw. no screw or nut to undo. how do I proceed. As there are several different Franke Filterflow Taps (and Triflow versions as well) the quickest way for you to solve this is to google for these installation guides, then download the one that is your own particular model and that will contain all the information that you require.